From initial consultation to deployment, Will Jaya is the trusted team you can count on to meet and identify engineering solutions. Our team has the confidence, flexibility, and expertise to handle all phases of your data center integration project. With our extensive portfolio of servers, storage, switches and rack products, our global team of dedicated professionals will ensure you get what you need, when you need it, with a quick turn-around time. Our client's confidence toward our ability to design a solution utilizing a broad line of server, storage, switch and rack products, is our motivation for delivering an application-optimized rack systems. You can rely on Will Jaya's Rack Integration Services for future project success. Along with the BOM, an entire rack-level engineering layout diagram will be created according to the server and networking device power socket and data port positions and the implementation of underlying applications. Professional experienced layout engineers will provide draft and final layouts for customer review and final integration. A detailed cabling layout of networking cables and power cords will be provided to optimize cable length and air cooling and allow service access when hot swapping units. 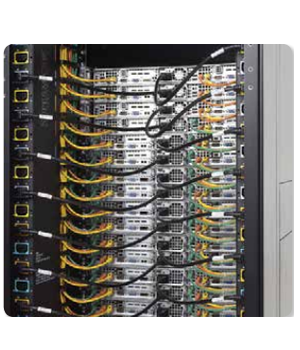 A graphic will be provided with the servers laid out in their positions in the rack systems, along with cabling count types and positions, for approval.